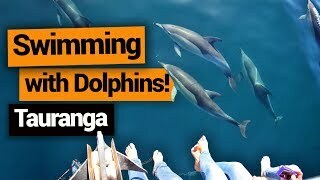 Papamoa Activities You Can’t Miss! Papamoa is the largest suburb of Tauranga in the beautiful Bay of Plenty and a popular holiday destination for Kiwis! See why so many locals love this beachside destination in this list of things to do in Papamoa! Whether you’re looking for a place to unwind alongside the serene Papamoa Beach, or looking for adventure in the Papamoa Hills, there’s an awesome experience for every type of traveller! Watch the sunset on the dune-backed Papamoa Beach, or try something new like blokarting or mountain biking! It’s all possible with the diverse offerings of Papamoa. 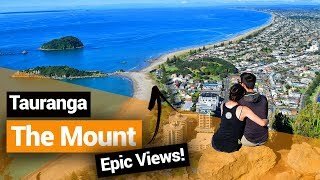 While you’re in the Tauranga area, don’t miss these 10 Free and Cheap Things to do in Tauranga and Mt Maunganui or Cheap Eats in Tauranga and Mt Maunganui! Yes, you can’t miss the 16km of beautiful golden sand stretching alongside the suburb of Papamoa! Papamoa Beach is a great spot for fishing, surfing, going for long walks and all of your other classic beach activities. The beach is so big that you’ll find secluded sections to unwind, action-packed sections with blokarts (more on that below) and even a nudist beach section. We recommend checking out the beach at sunrise for an amazing photo opportunity! Location: There are several access points to Papamoa Beach along Papamoa Beach Road. Papamoa is not all about the beach. The suburb is backed with hills rich in Maori history and epic views. 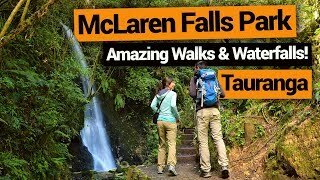 On a 45-minute one-way track, walk through a mix of lush farmland and native forest on your way to a viewpoint overlooking the Bay of Plenty coastline. The Papamoa Hills are home to 10 Maori pa sites (sites of old fortified villages) that date back to the 1500s. There’s also a 1h30min one-way walk around the base of the hills. Situated on a working beef and sheep farm in the Papamoa Hills, the Summerhill park is packed with mountain bike trails suitable for all abilities. There’s are plenty of downhill thrills to be had around the pine plantation trails with hilly terrain. The trails are also great for walking, so mountain bikers be aware that these are shared trails. Bike hire is available in Papamoa. Local food trucks come together for the ultimate street food feast every Thursday evening throughout summer (usually from November to March). Dinner in the Domain is a weekly artisan food market with some great eats and even food demonstrations. There are regular DJs adding to the vibrant atmosphere. Papamoa is a brilliant place to shop, whether it’s to grab some authentic New Zealand souvenirs or stock up for your travels around New Zealand. Choose from the malls of Papamoa Plaza or Fashion Island. Location: Papamoa Plaza – 7 Gravatt Road and Fashion Island – 94 Parton Road. Papamoa is the perfect place to get stuck into blokarting! Jump into a wind-powered go-kart and learn how to blokart from the very first lesson – no experienced is needed! At the local Blokart Recreation Park, there’s also the option to drift kart, which is a three-wheeled kart powered by an electric front wheel with purpose-built rear wheels for drifting. 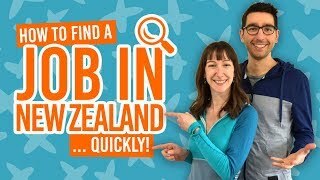 It’s a super fun and unique experience that you can’t find in many places in New Zealand. Location: There are two blokart parks, one on 81 Truman Lane and the other on 176 Parton Road. Two names: one spectacular waterfall. Just a 15-minute drive from Papamoa, Kaiate Falls is a multi-step waterfall hidden deep in the forest. Take a 1-hour loop walk to the upper part of the falls before making its way down to the base of the falls. Check out these 12 Most Wonderful Waterfalls in New Zealand for more unmissable waterfalls. Location: 15-minutes drive from Papamoa. Take State Highway 2 to Kairua then turn onto Welcome Bay Road. 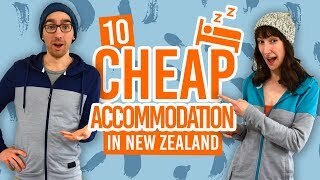 Travel 5km then turn on Waitao Road then onto Kaitate Falls Road. Part of the journey is on a gravel road.